winter thaw: el charro. | i love my burg. One of my favorite things about living in the Valley is that we get to enjoy all four seasons. The lush spring time when tender new plants sprout up and spread across the surface of local farms; summers full of sunshine and laughter, trips to the river and the pool… and when everything delicious is in season; gorgeous autumns when the trees bleed vibrant red and the sun slants in a sleepy kind of way through the panes flanking my front door; and crisp, snowy winters marked by eating Cheez-its and drinking hot chocolate in a sheet fort in the basement. But, I really don’t do well in the cold. Right now as I’m typing this, it’s twelve degrees outside. I’m wearing all my regular clothes, plus two bathrobes. I’m skinny and I have bad circulation, and most days, I just can’t warm up without getting in the bath tub. Obviously that’s not possible at my workplace, so I just shiver all day and seek out warm spots where I can. And given that I can’t just pack up and escape to the Caribbean any old time I want, I seek out warmth right here, in my city. On one such chilly day recently, I was, as usual, cold to the bone. It had been a demanding day at work, the sun was quickly disappearing, and I had a bad case of the “I don’t wanna’s.” I didn’t want to walk outside and scurry awkwardly in my heels to the car only to get home, make dinner, clean up the kitchen, and grade papers. 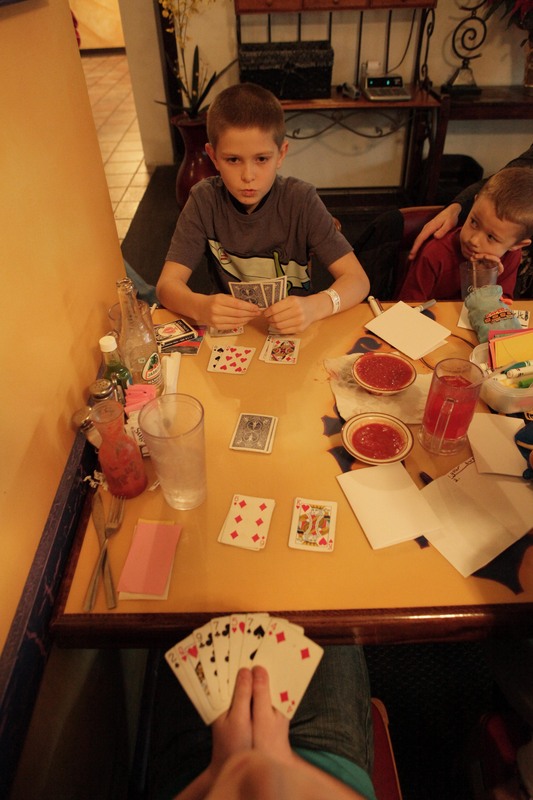 So I met Brandy and the kids at one of the warmest spots in the Burg – El Charro! It was especially warm when I arrived because sweet Ella had written our names on each of our napkins. And warmer still because Brandy had already ordered a pitcher of Dos Equis. Yes! Let the thaw begin. We ordered chicken and steak fajitas, a hot dog and cheese quesadillas for the girls, and Cal got his favorite thing in the world: “spicy rice.” That kid loves El Charro’s rice. He’s even asked for it for breakfast before. ??? Anyway, I’ve loved this restaurant since I moved here in 1993. The food is delicious and reasonably priced, the atmosphere is always cheery, the service is perfect every time, and the staff is just soooo nice. When my kids were babies, someone was always willing to carry them around for a little while so I could eat. We had supplies to keep the kids occupied while we waited for our food, but honestly, you never have to wait long in that place. 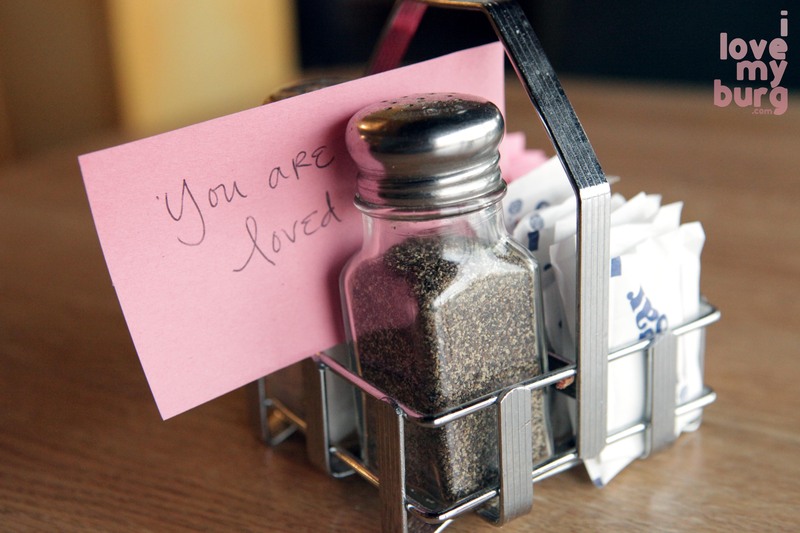 I’d recently tried a “love notes to strangers” project with my students (inspired by a woman named Hannah Brencher), where you write little encouraging messages and leave them for random people to find. When I left my classroom that day, I grabbed the box of leftover supplies from that project and brought it. Maybe our kids would want to write some love notes. Boy, did they ever! They scribbled cute little messages on pieces of construction paper and stealthily hid them throughout the restaurant. One said, “Hi. This note says you are loved.” Left on the toilet paper roll in the men’s room. 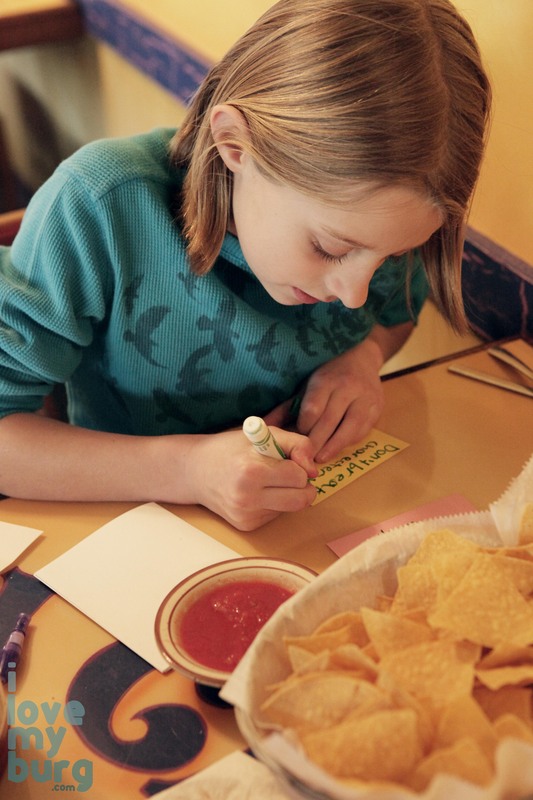 And Ella wrote one that said, “You might be different, but you’re awesome!” Bree asked, “Can we write jokes? Like ‘I farted?’” Uh, no. “Sorry,” she said. “Salsa gets me going.” Oh, geez. Anyway, the kids tucked their notes between packets of Sweet-N-Low, within the stack of rolled silverware, in the leaves of a potted plant, and other such clandestine locations. By now we were all warming up. Behind us an employee was totaling a bill on one of those adding machines – you know, the kind with the little spool of paper. Brandy commented that it sounded like a rotary phone. Then we remembered how fun it is to dial a rotary phone. Like when you’re angry, you can really rip that dial (even though it infuriatingly returns at its slow, pre-set speed). You can’t dial angrily on your iPhone. But with the rotary phone, as Brandy pointed out, you have time to think twice about calling someone when you’re angry. We warmed up there for quite some time, laughing and chatting and stuffing ourselves. The kids played a few rounds of cards, and then an elbow-licking contest occurred. No one won. Meh. When I got home, I didn’t need to climb into the bath. I felt toasty, through and through. 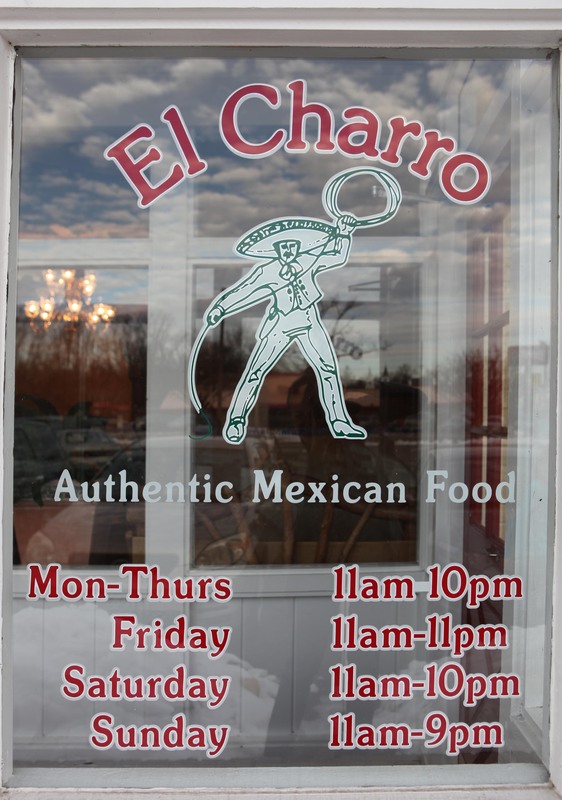 El Charro has three locations: South Main (where we went), East Market Street, and the newest one on Port Republic Road. A sunny spot to warm yourself is never far away. This entry was posted in food, kids and tagged beer, Brandy Somers, El Charro, fajitas, food, Harrisonburg Virginia, Katie Mitchell, love notes, Mexican food by junebug. Bookmark the permalink. Normally I don’t read post on blogs, however I wish to say that this write-up very compelled me to try and do so! Your writing taste has been surprised me. Thanks, quite great post. 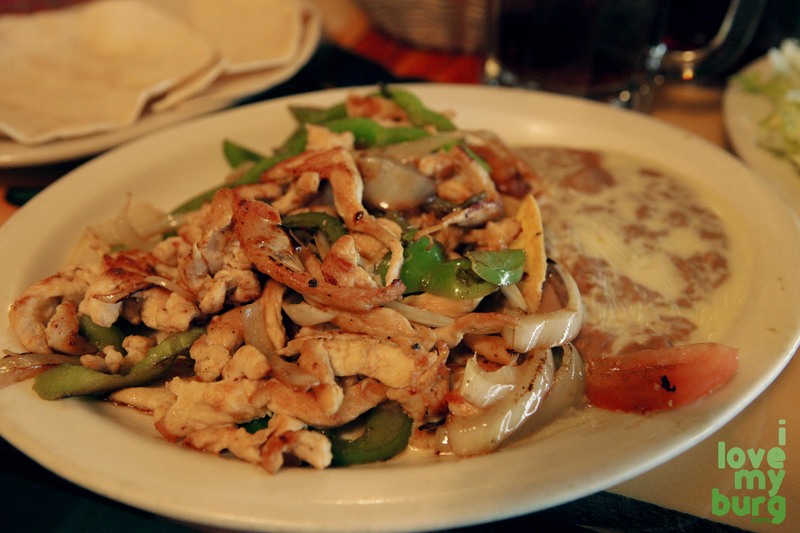 Thanks for finally talking about >winter thaw: el charro. | i love my burg. <Liked it! Hi there, You have done an excellent job. I’ll definitely digg it and individually recommend to my friends. I’m sure they will be benefited from this site. 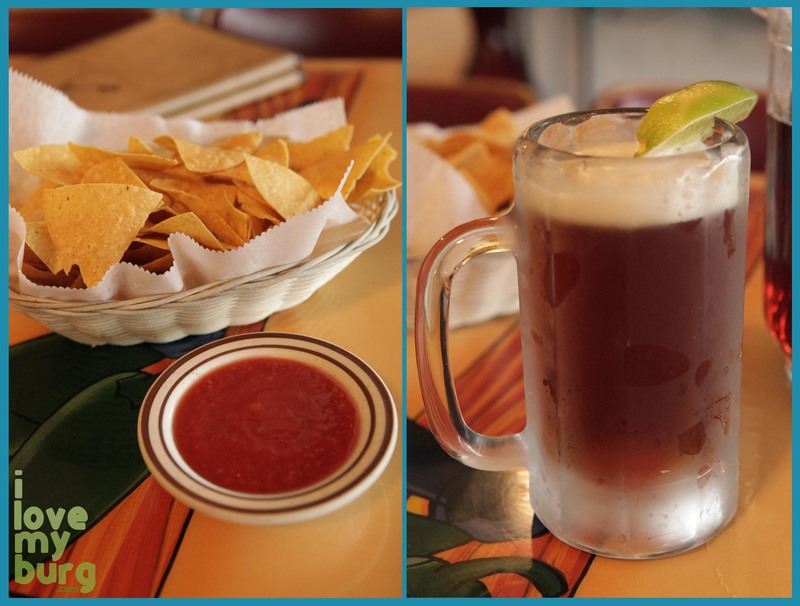 El Charro is a great place to eat and relax with friends and family. I love your “love note to strangers” idea too. Both the person doing the writing and the person receiving are blessed. We need more random acts of kindness in this world.